A simple way to depict your faith. 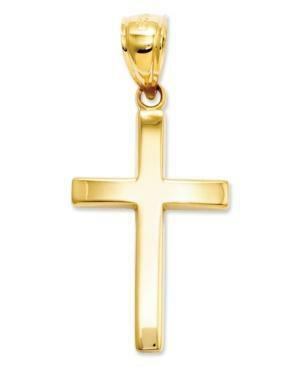 This stunning, polished cross charm will inspire your look. Crafted in 14k gold. Chain not included. Approximate length: 1-1/10 inches. Approximate width: 2/5 inch.